Large Bore Four-Way Valve Tool Haltec TL-690 / BOWES HT 27-694. 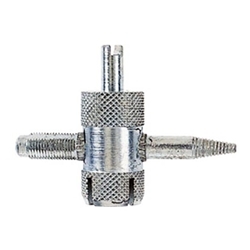 Thread repair for core and cap threads and core remover. For Large Bore and Super Large Bore.